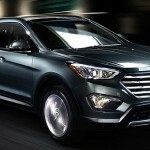 In North America, the 2015 Hyundai Santa Fe is offered as two models, the short wheel base one that offers seating for 5 and the long wheel base model which offers seating for 7. Both of these models is available in showrooms from the end of year 2014 for a base price of around 24.000$ for the short model and around 29.000$ for the long wheel base one. 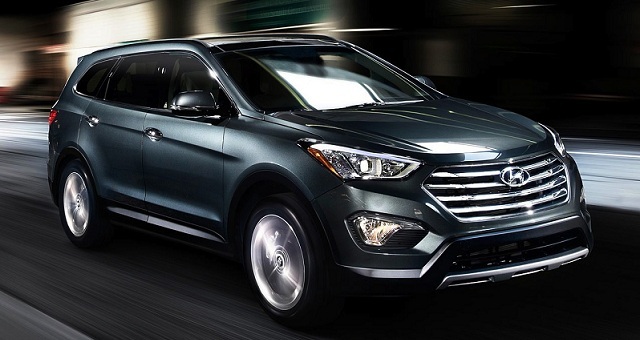 There isn’t much to talk about the 2015 Hyundai Santa Fe’s exterior because it is pretty much unchanged except a few minor differences. You now have the chance of getting LED lights in the front and also at the back via an optional package. 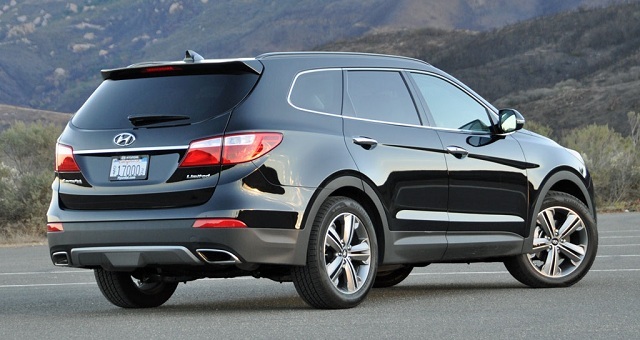 You could also ditch the 17 inch standard wheels for a set of 18 inch wheels with all season tires. There is quite a bit of equipment, both on the long and short wheel base models. You will get a good quality cloth interior, a 6 inch screen for the infotainment system as well as a good audio system and also climate control. 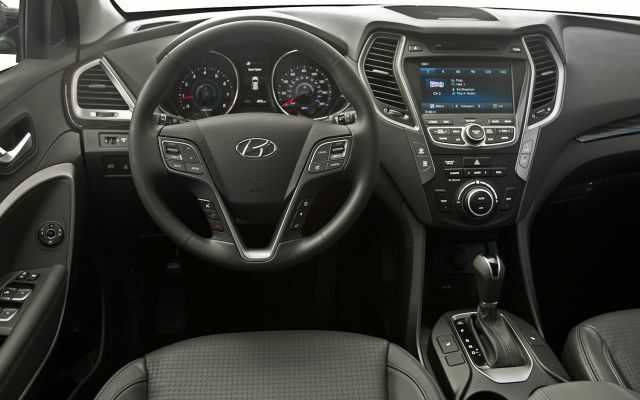 Options include a satellite navigation with an 8 inch screen and also a rear view camera. On top of that, the long wheel base model can receive triple zone climate control while the short model will get dual zone climate control. 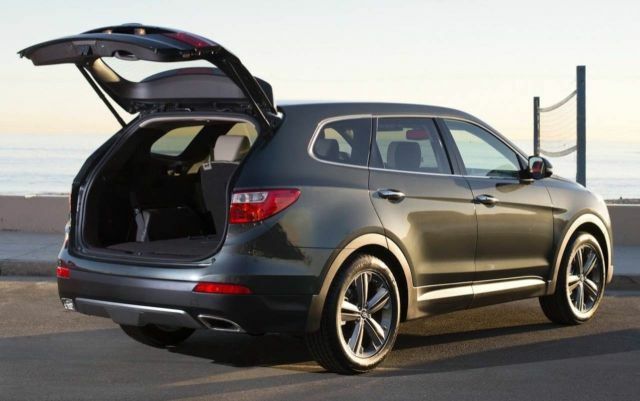 Also, both models can receive a fully leather interior with electric front and rear seats. Depending on the model you choose, there are a couple of options available. Firstly, let’s talk about the short wheel base model. This comes as standard with an aspirated 2.4 liter inline 4 that is quite gutsy but it isn’t the most refined unit of them all. It boasts 190 horsepower and 181 lb-ft of torque. If you’d like something more powerful but still not very refined, than the 2 liter turbocharged version is the one for you. This uses less fuel than the base unit, has more power at 264 horsepower and 269 lb-ft of torque and also a better sound. The long wheel base version only has one engine available and that is a powerful and refined 3.3 liter V6. 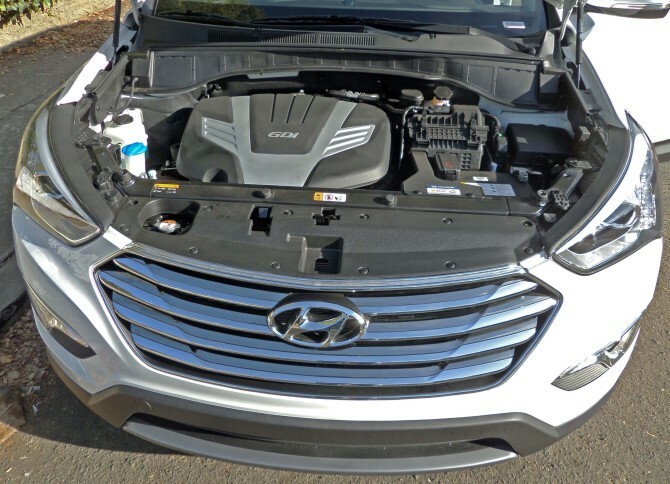 This will give you 290 horsepower and 252 lb-ft of torque and it is actually cheaper than the 2 liter turbocharged version but uses quite a lot more fuel. Both models come as standard with front wheel drive and a torque vectoring system that is basically a front differential. Also, the only available gearbox is a 6 speed automatic that is quite smooth and refined. 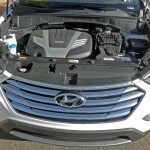 You could opt for a four wheel drive system that has electronic differentials making it quite good on dirt roads and such but it would increase the fuel economy by a noticeable margin, especially on the 2 liter turbocharged engine. 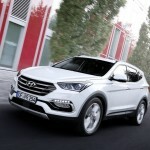 Hyundai Santa Fe towing capacity is maximum 2000lbs which depends of the engine and transmission option.